On June of 2018 Vans collaborated, once again, with Marvel to bring some amazing new shoes, shirts, etc. Part of this new wave of Marvel gear is this awesome Captain Marvel Sk8-Hi. I have owned a couple of pairs of Vans for years and Sk8-Hi is always my favorite. Sk-8 Hi is not only about the look but it is also comfortable to walk on. 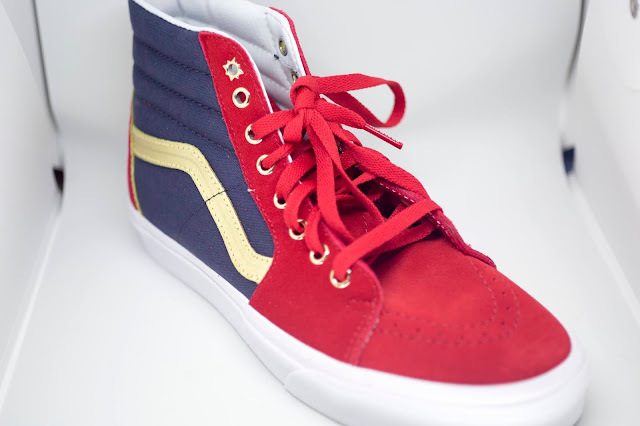 This pair of Captain Marvel Sk8-Hi has enhanced the level of awesomeness of the already cool-looking Sk8-Hi, which caught my eyes when I first saw it among the Vans x Marvel sneakers! 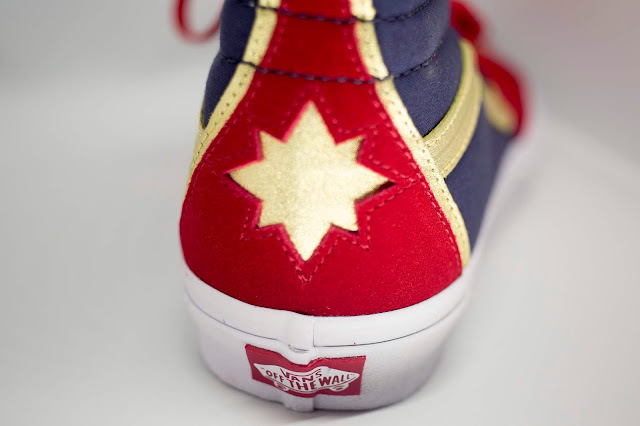 Featuring the details of Captain Marvel, this pair will certainly catch the attention from the others (especially the Marvel fans!) 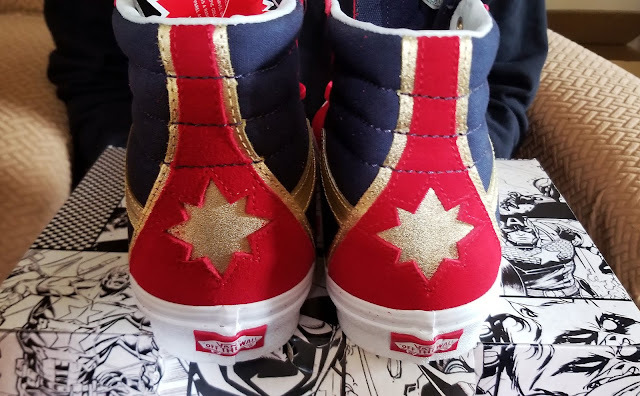 The color red, blue and gold resemble the color scheme of Captain Marvel's new uniform and at the back of the heel there is the Hala Star logo. 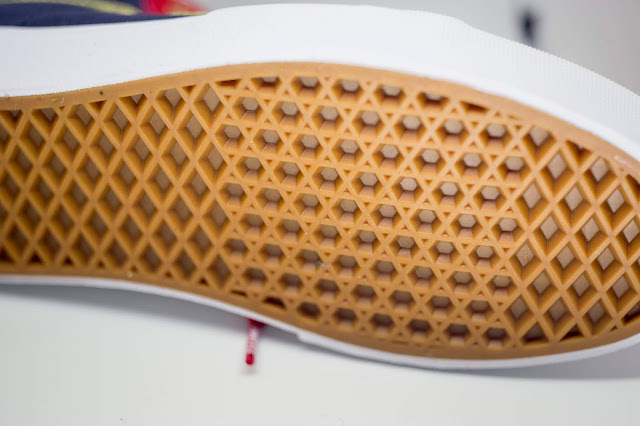 The logo of Marvel is on the tongue of the shoe. 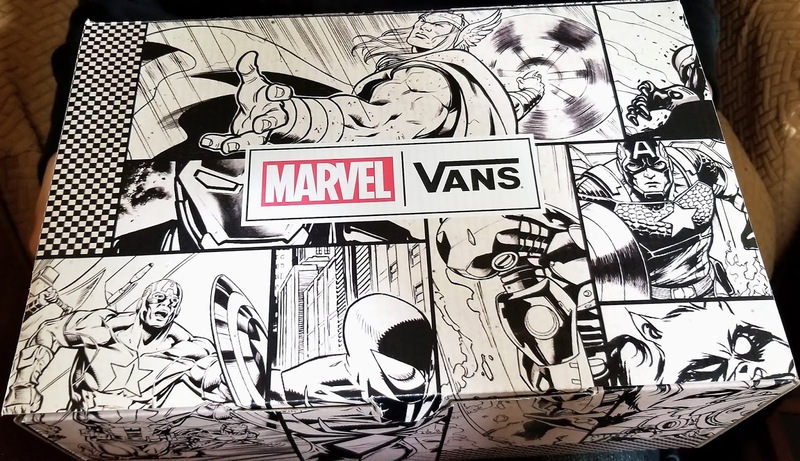 Insoles have Captain Marvel on them which you can find the same graphic on the Vans X Marvel tee. 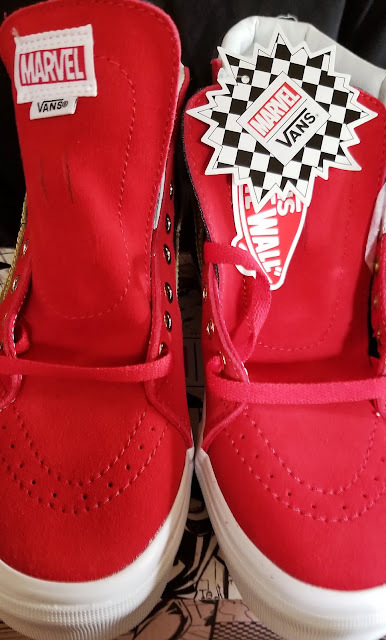 The little details you shouldn't miss is the first eyelet for the shoelace is actually another Hala Star logo, the gold eyelets just go really well with the red shoe lace! This pair of sneakers has included plenty of details of the hero and at the same time it blends in with the sneakers so well. 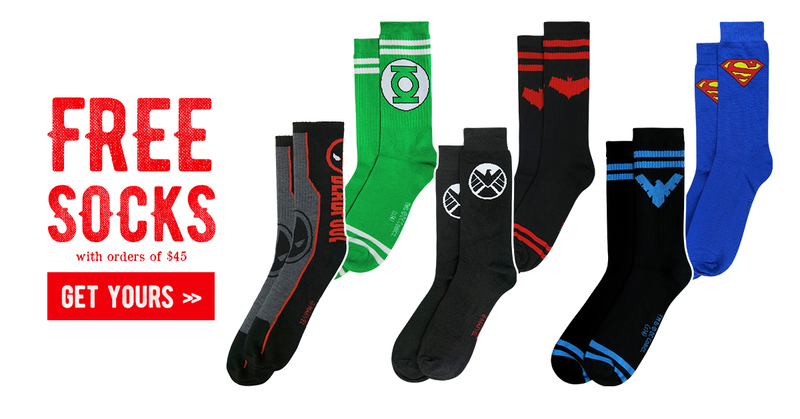 It is not only made for fans but also a very stylish pair that shouldn't be missed. It is perfect for any fans especially for those who wants to stay low-profile (like I do). 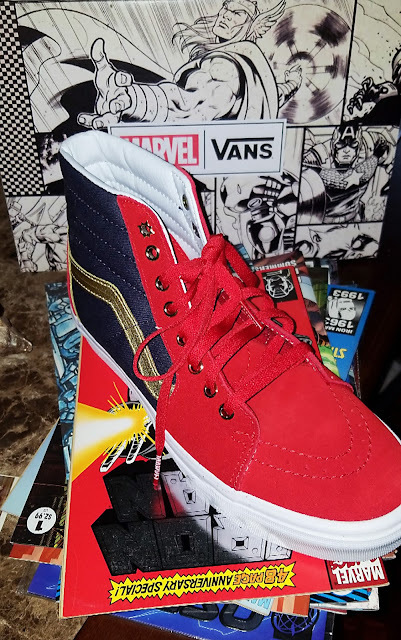 Marvel fans will certainly recognize the details but to other who is not a fans of Marvel (yet) will definitely think this pair looks stylish with its sharp color palette on the sneakers. Certain sizes are still available for sale but they are running out fast!